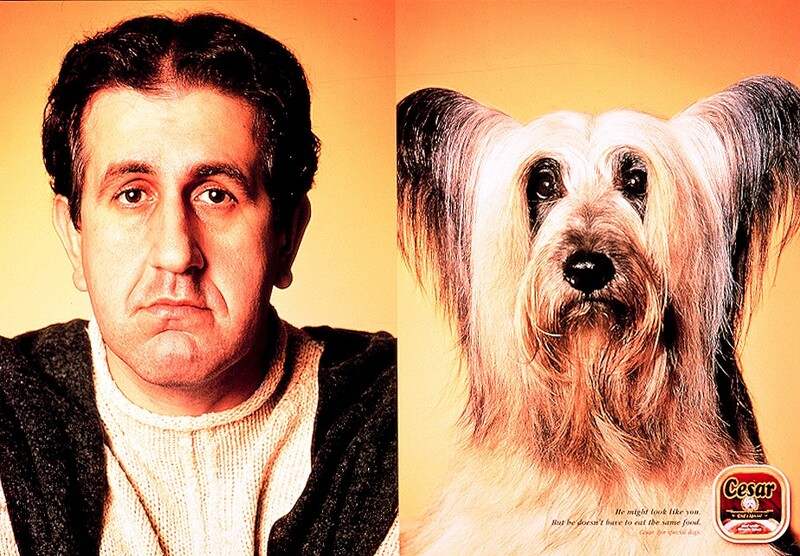 It got me thinking: Do dogs actually resemble their owners? It seems the idea has amused cartoonists for decades. 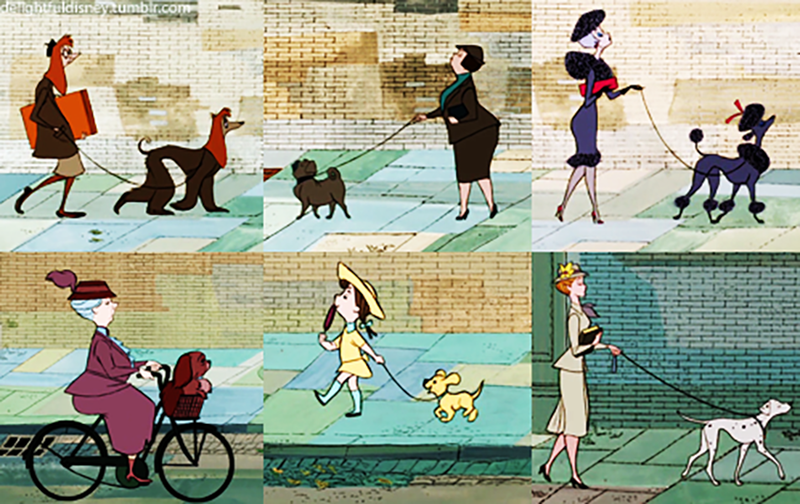 For example, the opening scene of Disney’s original 101 Dalmatians features a parade of dog-human doppelgangers walking down a London street. 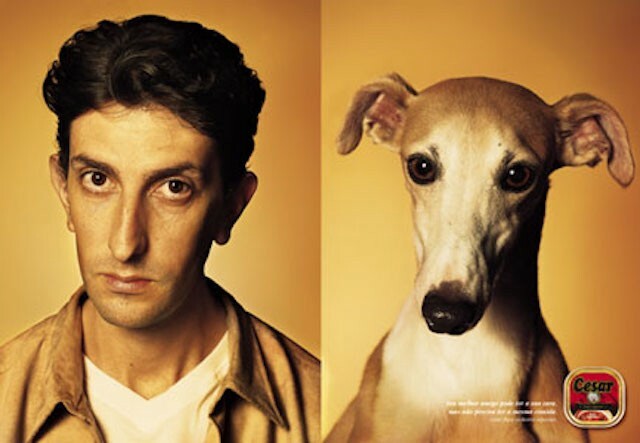 Most recently, German photographer Ines Opifanti demonstrated a similar connection between dogs and their owners, matching 30 volunteers and their pups in side-by-side facial impersonations. “I noticed that dog people get really good at interpreting their own dogs, which is fascinating because we’re two completely different species,” she tells me. In other words, it seemed like everyone in the world shared my curiosity on the subject. This included Nicholas Christenfeld, a professor of psychology at UC–San Diego. In 2004, he conducted the definitive study on the topic when he — along with fellow UCSD professor Michael Roy — photographed dog owners and their pets at three parks and asked a panel of judges to identify an owner’s dog from a pair of photos. Sixteen of the 25 purebred canines were accurately paired with their owners. 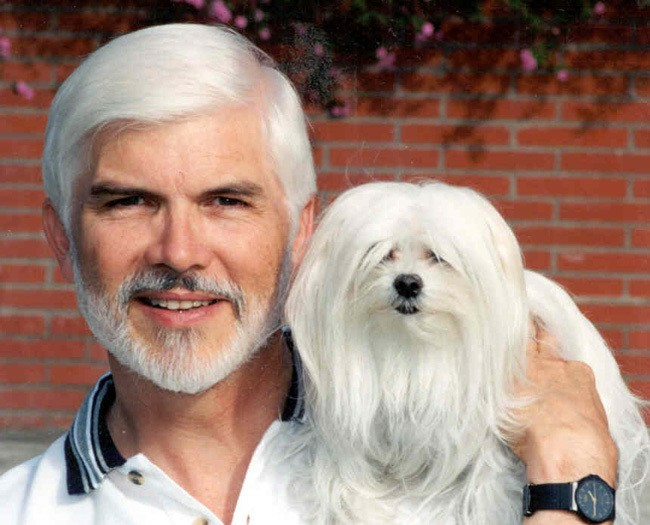 Not one to bark up the wrong tree, I recently spoke with Christenfeld about his findings and why we subconsciously purchase dogs that look like us. At the time of your study had there ever been anything like it previously? As far as I know there hadn’t been. I suppose it’s the kind of thing people have wondered about for 10,000 years, since dogs were first domesticated. Obviously children’s book illustrators have always drawn people resembling their pets. But we had never seen any research on it, so we did some ourselves. We had no lofty goals for the study; we just hoped to answer the basic question you raised. 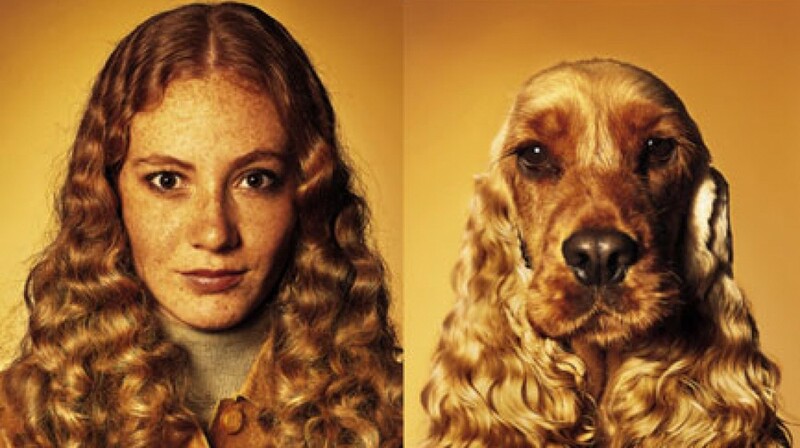 It’s easy to see a dog and an owner and think, Wow, those two look so much alike! But you know they’re a pair because they’re connected at opposite ends of the same leash. The better question is whether you can spot a resemblance if you don’t know they go together. So we took pictures of dogs and their owners separately and showed people one dog and three possible owners and asked them to pick out the real owner. What did your study confirm? There are two arguments about why people might look like their pets: 1) People are attracted to and adopt dogs that look like them; 2) people and their pets come to look like each other through cohabitation. The second is admittedly less likely since you’d both need to share a diet, catch Frisbees in your mouth and cut your hair the same way. (Our data speaks to that more empirically.) 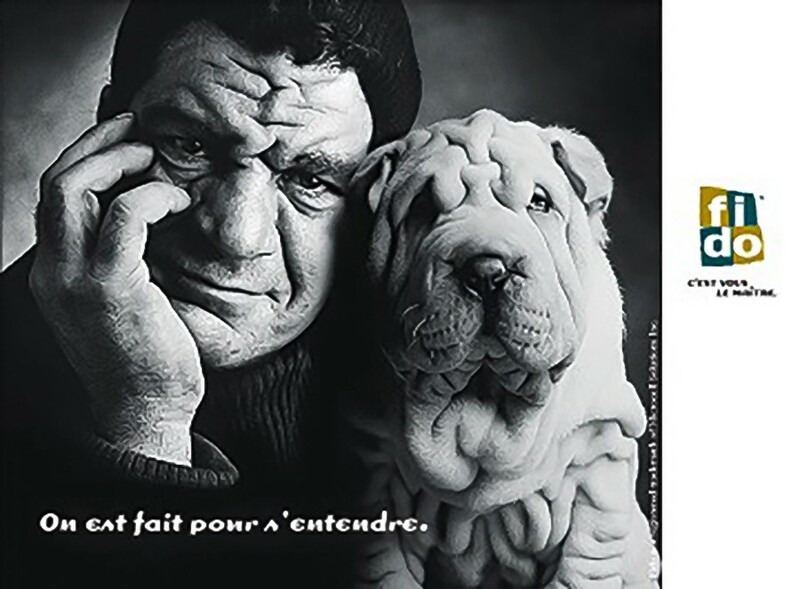 Our main finding was that there is a significant resemblance between people and their dogs, but only for purebreds. If you have a mutt, it doesn’t look any more like you than a regular dog owner. It must be a selection. That when you adopt a dog, you look for one — probably not deliberately — that resembles you. What this says about why we have dogs is interesting. Evolution shaped us to want to take care of tiny, nonverbal creatures that look like us (i.e., our children) and tend to them and love them. And if you don’t have this desire to take care of little creatures, you’re weeded out of the gene pool right away. Our desire to nurture our babies is critical to our evolutionary success. If there were a pair of parents without such a desire, the offspring wouldn’t be viable. It works okay for sea turtles, who can raise themselves, but humans need help for, I have found, decades. Our argument is that pets take advantage of the fact that we like to take care of little creatures and insert themselves in place of a child. In this way, you can think of pets being parasitic on our parental instincts. What’s going on here, scientifically speaking? It’s a basic phenomenon called “familiarity” or “the mere exposure effect.” We like things we’re familiar with that we can process more fluently. It’s why record companies pay radio stations to play their songs over and over again. If you repeatedly hear a song, there’s a positive feeling when it comes on. Even if you eventually say, “Ugh, that comes on all the time, I hate it,” your first response is pleasure. It’s comforting. For the same reason, you find your friends more attractive than strangers find them because you’ve seen them over and over again. This is true for almost everything: paintings, songs, even Japanese characters. The social psychologist Robert B. Zajonc conducted a study where he showed American students a series of Chinese characters and the ones that had been shown a number of times were more likely to be “translated” as meaning something positive and favorable. Similarly, you’re familiar with the look of you and your family; when a dog matches that look, it has an extra appeal for you and elicits a loving response. Is that why children who look a lot like one of their parents are favored? There are evolutionary psychologists who’ve made this argument and have collected data suggesting—though not proving—it’s true. Some academics also make the argument that step-parents are much less nice to their children than biological parents. The rate of child-killing, which is tiny all around, is much tinier for natural parents. And you can imagine resemblance has something to do with that. You mentioned previously this only pertained to purebreds. Why not mutts? Because when you’re adopting a purebred you know what you’re getting. Often you pick it out from all the breeds in the world. When you adopt a mutt, you go to the pound and adopt whatever mutt licks your hand or adopt a stray dog that happens to wander across your lawn. You’re not picking from all the dogs in the world based on what they look like as adults. What about if you really don’t like the way you look? Does the familiarity effect trump your own distaste for your own face? It’s an interesting question. I imagine that even disliking your appearance wouldn’t be enough to overcome this familiarity phenomenon. It’s likely we’re not even aware it’s at play.